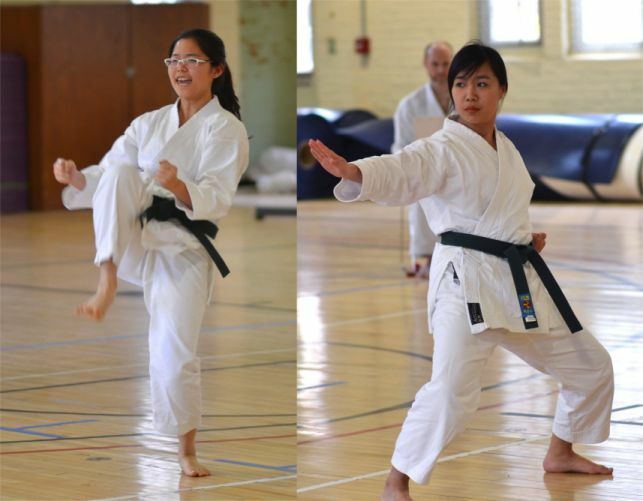 UConn Karate Club class, October, 2015. Front row: Francis Gurahoo, Zhangtongxin (Kitty) Yang, Yining (Jenny) Chen, Andre Bracy, Nate Bracy, John Bracy, Abby Barrera, Henry Kennell, Liz Loftus, Yang Liu, ?, ?. Second row: Bob Jacobs, Nick McIntosh, Barth Bracy, Liam Boyce, Phil Minichino, Andrew Bakoledis, Renjie Chen, Xiaohan Zhou, Sophie Xi, Xiaomeng Liu, Juliette Thuillier. Back Row: Ken Forrest, Serge Nakhmanson, Alex Jacobs, Aidan Boyce, Sarah Boyce, Ryan Jacobs, Mike Jacobs, Darwin Jurado, Dan Clark, Jeremiah Smith, Kenny Medina, Zhiyuan (Jamie) Jiang, Jiaying (Jesse) Gu, Yifei Han. 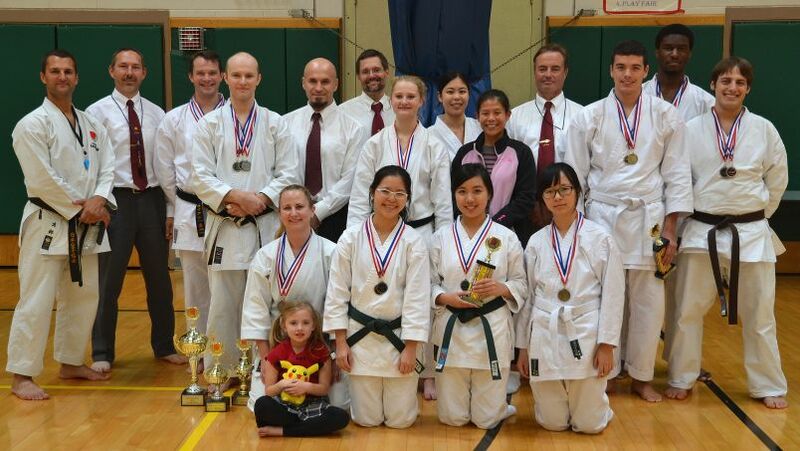 UConn Karate Club members at the Fall Shotokan Karate Do-International Championships. Front row: Isabelle Jacobs, Melissa Jacobs, Kitty Yang, Jenny Chen, Yang Liu. Second row: Andrew Bakoledis, John Seifert, Ryan Jacobs, Mike Jacobs, Rob Terlikowski, Mark Rollins, Alex Jacobs, Kim-An Do, Abby Barrera, Bob Jacobs, Dan Clark, Jeremiah Smith, Phil Minichino. Kitty Yang and Jenny Chen perform kata at the Husky Cup competition. 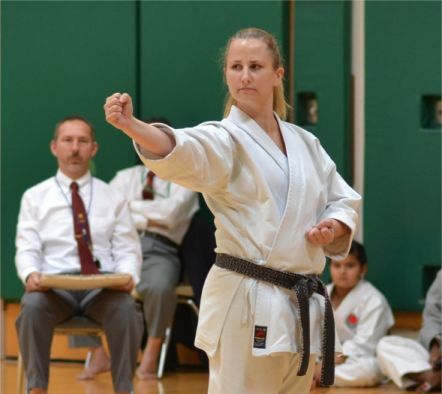 Instructor trainee Melissa Jacobs performs the kata Chintei.